Snowman for Merriment Fairy Gardening. 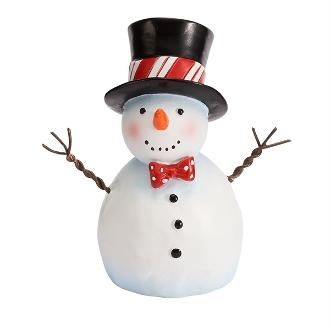 Full Description: This dapper snowman was designed by artist Mary Engelbreit and will make your winter mini garden into a wonderland. Made of resin and metal and features hand-painted details.